Waves of Healing reveals how being true to yourself - listening to the voice of your soul - plays a crucial role in your health and healing. You may think you only have onE body to care for, but infact, you have ten. Discover how to balance these ten bodies - the soul, the negative, positive and neutral minds, the physical body, the arcline, aura, pranic, subtle, and radiant bodies - so you can tune into the voice of your soul. Waves of Healing contains new Kundalini Yoga kriyas for each body, published for the first time in English, with accompanying Ten Body meditations. 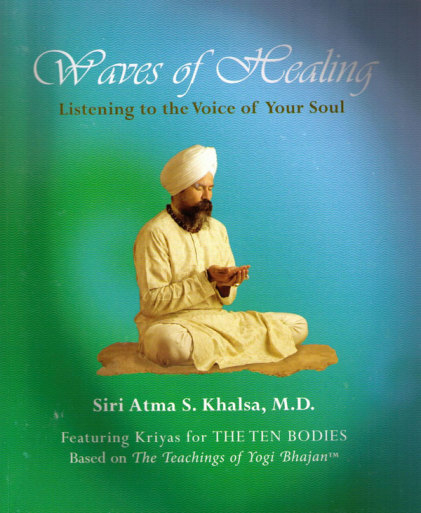 Dr Khalsa shares ancient yogic wisdom from the Teachings of Yogi Bhajan, PhD, as well as his personal insights on yoga, healing and medicine. These teachings are designed to elevate the human spirit and guide you in finding your true self.